STATESBORO, Ga. – The final week of March was already set to provide a landmark moment for South Georgia Tormenta FC. As hosts of the first game in USL League One’s history, and with the eyes of a national ESPN+ audience set be drawn to its clash against Greenville Triumph FC, the club was ready for its moment in the spotlight as it entered a new era in its fourth season. 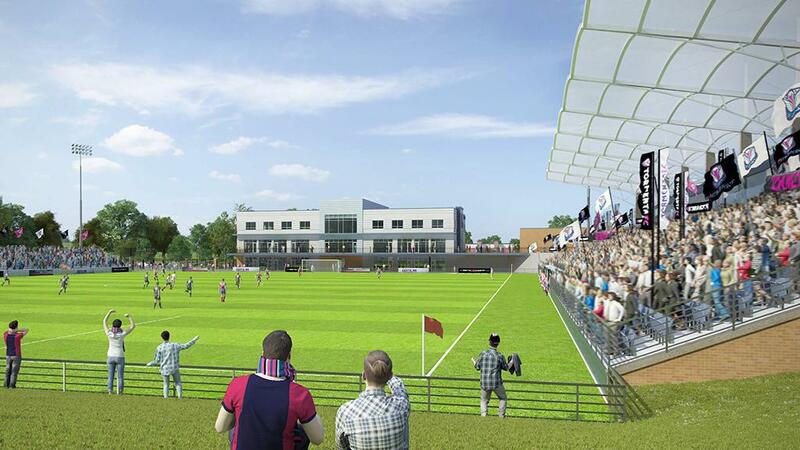 This past Saturday night, however, the club doubled-down on the hype, revealing it would break ground on a new 5,000-seat stadium that will become the club’s permanent home on Wednesday, March 27 – just two days before their debut with Greenville. 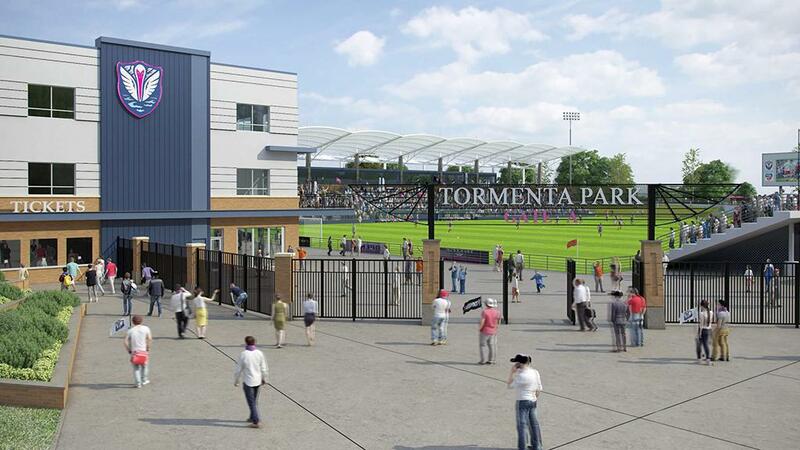 These are new beginnings for Tormenta FC as the former League Two power moves into the professional ranks. Which of course makes it all the more appropriate that the club’s long-term vision is coming to fruition in what should be a celebratory, and well-publicized, week for the entire community. 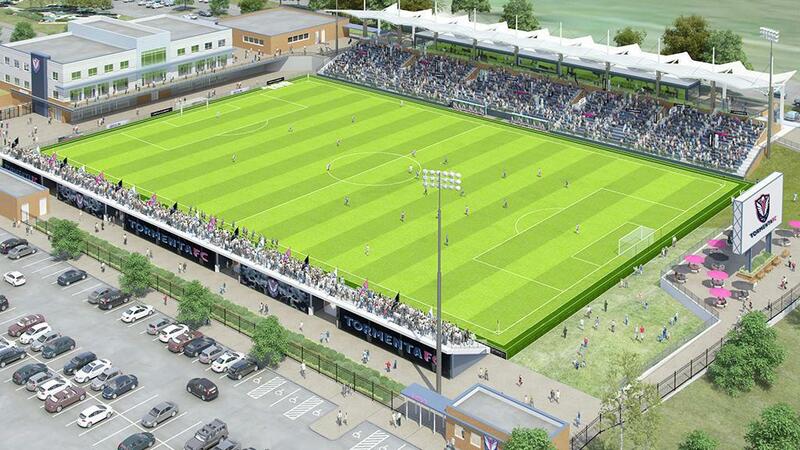 South Georgia Tormenta FC announced on Saturday it would host a groundbreaking for its new soccer-specific stadium and complex on Wednesday, March 27 at 5:30 p.m. ET. Further adding to the occasion, Saturday night was also an on-field success for Tormenta FC, scoring a 3-2 victory against USL Championship side the Tampa Bay Rowdies behind two goals from Alex Morrell at Erk Russell Park. But while the fans in attendance relished the result on Saturday night, the biggest buzz was reserved for the club’s new venue. 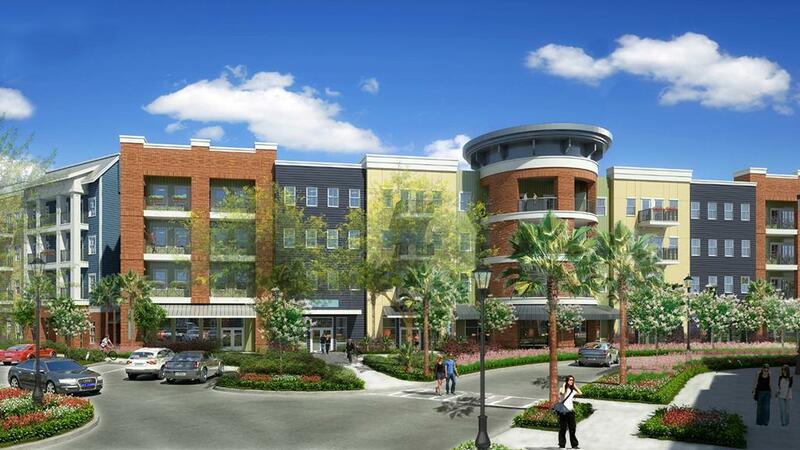 Part of a multi-use complex which will also include a major grocery chain, hotels, a movie theater, a bank and additional restaurants and retails, Tormenta FC’s new home is going to offer much more to Statesboro than simply a new stadium. Van Tassell added the official groundbreaking at 5:30 p.m. ET on March 27 will be “B.Y.O.S.”- or “Bring Your Own Shovel”- allowing the club’s fans to participate in the historic evening for the club.